As a smart entrepreneur, you know social media is a great channel to promote your business. So you create a Business Page on Facebook: now your existing and potential customers can find you and connect with you, but what’s next? Unless you’re one of the world’s famous brands and have a several millions’ audience waiting to follow you, your Page will not get exposure just like that. You’ll have to make an effort to build an audience, grow it, and engage it – ultimately turning your Facebook fans into customers that bring profit to the business. So here are some helpful answers to the questions you were probably meaning to ask about your Facebook Business Page promotion. Q: How do I attract followers and get more likes? A: Start by inviting your long-term customers and contacts to join your Page. Tell your other customers about the Facebook Page on your website and in all your marketing materials, like business cards or mailings (make sure you claim a customized URL for your FB Page before including the link in your promotions). A good way to drive fresh traffic is creating Ads or Sponsored Stories on Facebook – they will help you attract people outside your existing network. Q: How do I engage my audience? Our attention is more easily driven to something visual. 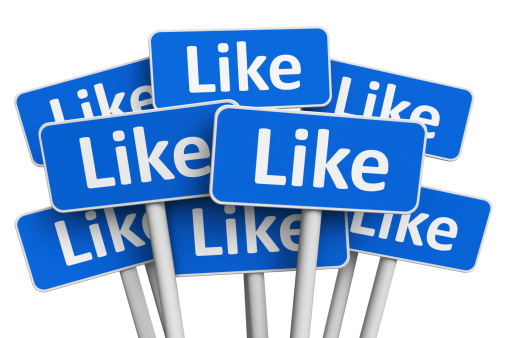 Colorful images and videos that involve human interaction are especially eye-catching and get more likes and shares. These show your fans that their opinions matter, plus questions encourage interaction. Make sure to participate in the discussions to demonstrate that your fans’ opinions are heard. Offers a good way to attract attention of new and existing customers, and by encouraging them to share the offer with friends, you drive new traffic to your Page. Q: Should I post to my Page often? A: Generally, it’s recommended to post once a day to keep reminding the fans about your Page, but it depends on the audience. You should test various posting frequency and see how engagement changes when you post more or less often (use your Page Insights for that). Q: What else can I do to promote my Page besides posting? Boosting a post gives it more chances to be displayed in the News Feed of your Page’s followers (not all of your posts will be shown in the Feed of those who liked your Page). Note, though, that you can use this feature only after you get 50 followers and more. You can partner with other businesses to co-promote each other on Facebook – for example, by posting on each other’s Timelines as a Business Page. Create and promote an event via your Business Page. When people sign up for your event, all their friends will see that in the News Feed, which will give you more exposure. Ask your loyal customers to leave reviews and ratings on your Facebook Page – this will help you build trust. Now, with a little know-how, you’ll be able to get the most of your Facebook Page and make it a great lead source and promotion tool! Is there anything else you wanted to know about Facebook Business Page promotion? Do you want to share any methods that proved effective? Feel free to ask and share in the comment section below.